Making a successful video game is hard. Even games that are successful at launch may fail to engage and retain players in the long term due to issues with the user experience (UX) that they are delivering. The game user experience accounts for the whole experience players have with a video game, from first hearing about it to navigating menus and progressing in the game. UX as a discipline offers guidelines to assist developers in creating the experience they want to deliver, shipping higher quality games (whether it is an indie game, AAA game, or "serious game"), and meeting their business goals while staying true to their design and artistic intent. In a nutshell, UX is about understanding the gamer's brain: understanding human capabilities and limitations to anticipate how a game will be perceived, the emotions it will elicit, how players will interact with it, and how engaging the experience will be. This book is designed to equip readers of all levels, from student to professional, with neuroscience knowledge and user experience guidelines and methodologies. These insights will help readers identify the ingredients for successful and engaging video games, empowering them to develop their own unique game recipe more efficiently, while providing a better experience for their audience. Key Features Provides an overview of how the brain learns and processes information by distilling research findings from cognitive science and psychology research in a very accessible way. Topics covered include: "neuromyths", perception, memory, attention, motivation, emotion, and learning. 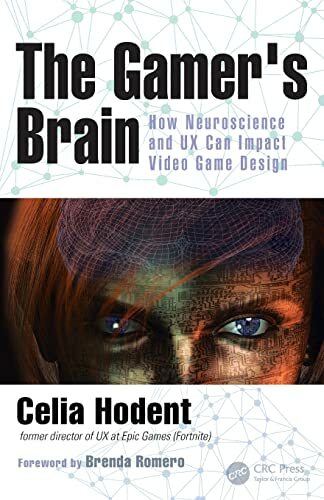 Includes numerous examples from released games of how scientific knowledge translates into game design, and how to use a UX framework in game development. Describes how UX can guide developers to improve the usability and the level of engagement a game provides to its target audience by using cognitive psychology knowledge, implementing human-computer interaction principles, and applying the scientific method (user research). Provides a practical definition of UX specifically applied to games, with a unique framework. Defines the most relevant pillars for good usability (ease of use) and good "engage-ability" (the ability of the game to be fun and engaging), translated into a practical checklist. Covers design thinking, game user research, game analytics, and UX strategy at both a project and studio level. Offers unique insights from a UX expert and PhD in psychology who has been working in the entertainment industry for over 10 years. This book is a practical tool that any professional game developer or student can use right away and includes the most complete overview of UX in games existing today.